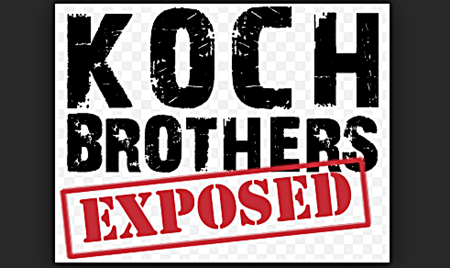 IRS filings released on Tuesday by Freedom Partners, the billionaire Koch Brothers’ super “not-so-secret” tax-exempt organization that serves as a persona; ATM for the GOP and the Tea party shows they contributed millions of dollars to anti-choice and anti-gay organizations in 2014. Where did the money go you ask? Well in addition to going to an array of other Koch Brothers network groups like Americans for Prosperity ($16 million), Generation Opportunity (more than $14 million), and the Liberty Initiative ($6.5 million), a good chunk of it went to the very anti-LGBT Evangchr4 Trust, ($5,745,000) a Koch-tied Evangelical Christian pastoral outreach organization that itself gave more than $1.3 million dollars to James Dobson’s Focus on the Family. Also CitizenLink gave $375,000 to the certified anti-LGBT hate group the Family Research Council which is led by white supremacist Tony Perkins. The group also gave $885,000 for advocacy and another $125,000 for general support directly to CitizenLink — which describes itself as “deeply concerned about the hearts and souls of those who identify themselves as gay, lesbian, bisexual or ‘transgendered.’” It also sent $225,000 to Susan B. Anthony List, an anti-abortion and anti-contraception organization, and $150,000 to Heritage Action for America.